Hi, Barb from SC Toys! Today I have a brand new product called EggMazing. It's a new way to decorate your Easter eggs. You begin by taking your egg and putting it into a rotating shaft. 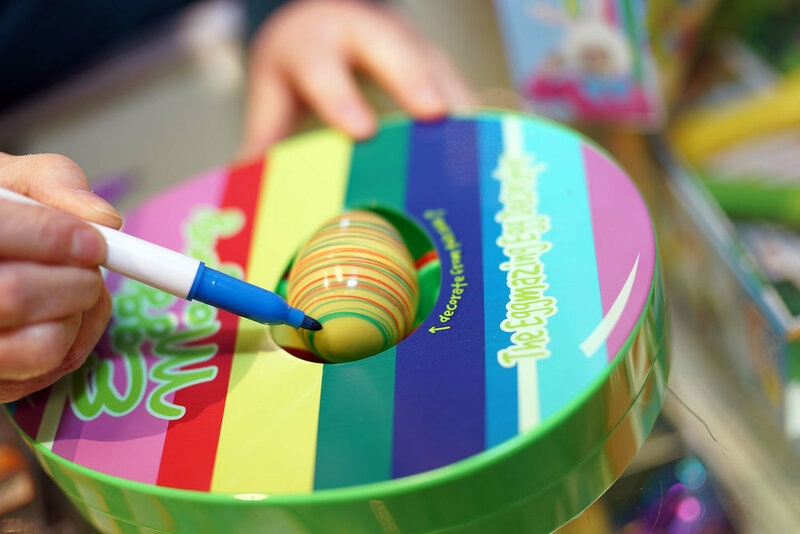 While the egg rotates, you decorate it with colorful markers (included in the box). It's a super fun, creative way to transform your egg into a magical decoration. It is a fabulous product. Create beautiful eggs without the smell of vinegar. 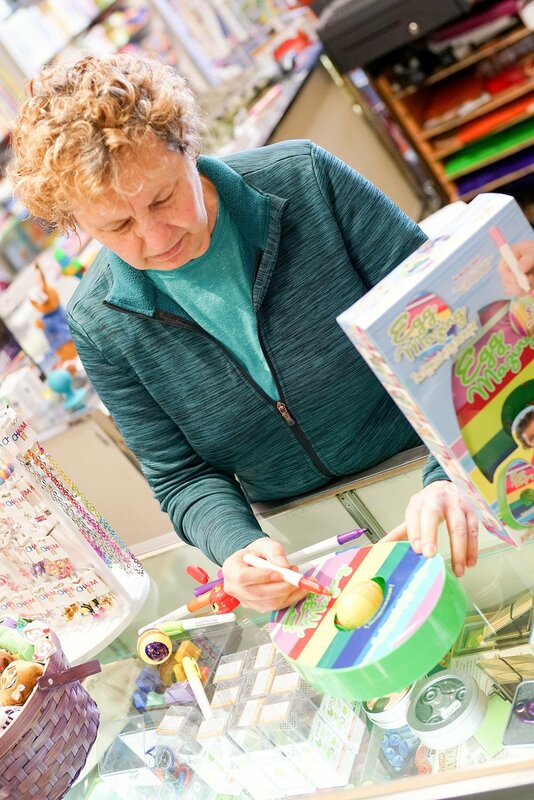 So come on in, I'll show you EggMazing and many more incredible products at SC Toys.